Since Sheikh Hamad bin Khalifa al-Thani replaced his deposed father in 1995 as the emir of Qatar, the global profile of the tiny Gulf state has risen sharply – thanks largely to Al Jazeera, the satellite channel that the new emir created and financed in late 1996 as an Arab version of CNN. The emir hired 120 journalists from a BBC Arabic-language satellite TV service that folded after an editorial controversy caused its Saudi financiers to pull out. The programming they produced on Al Jazeera quickly sent shock waves through the Arab world. It included such rare sights as Israeli guests speaking Hebrew and debating Arabs on TV. That programming also helped spark a media renaissance in one of the world’s most repressive regions. Though Al Jazeera’s Arabic channel dominates, the Saudi-financed Al Arabiya and hundreds of other satellite services now compete for the Arab audience. They offer a wide range of views, underwritten by Middle Eastern governments, political parties, religious groups and other interests in the region. But while Al Jazeera was hailed by its audiences, it was often condemned, or even banned, by Arab governments. And in the U.S., President George Bush’s administration painted Al Jazeera as an anti-American network that sympathized with terrorists. Former U.S. Defense Secretary Donald Rumsfeld once accused it of “vicious, inaccurate and inexcusable” reporting about the 2003 U.S. invasion of Iraq. Anti-Al Jazeera sentiment in the U.S. was so intense that when Qatar launched a second Al Jazeera channel in 2006, this one in English, Jewish organizations protested and American cable companies refused to carry it. Fast forward five years to 2011, and Al Jazeera English has still barely cracked the U.S. cable market; it’s available only in Washington D.C. and two regions of Vermont and Ohio. Most Americans who want to see it must rely on an Internet livestream that can be balky and buggy. But in the rest of the world, Al Jazeera English’s profile is huge. It’s available in 220 million households worldwide. And the current U.S. administration takes a decidedly different view – at least of the English-language channel – particularly in the wake of its much-praised coverage of the Arab uprisings of early 2011. Clinton may not have been endorsing Al Jazeera’s viewpoint, but she was clearly acknowledging its reputation for professional, serious journalism. “Al Jazeera English is a world news leader now,” said David Marash, a longtime ABC correspondent who joined the channel as an anchor in 2006 but left two years later over “irreconcilable editorial differences.” Despite the unhappy separation, Marash said in a recent interview that he urges Americans to give the channel a look. “Al Jazeera English has more reporters in more places than anyone else,” he noted. Kaplan wrote his valentine to AJE two years ago. More recently, after watching the channel’s coverage of the Arab uprisings, a chorus of prominent Americans have publicly agreed, and 40,000 U.S. viewers (most of whom presumably watched the Internet livestream) sent e-mails of support when the channel urged Americans to demand that their cable companies carry it. “We have great resources and we are prepared and in place before anyone else,” said AJE Iraq correspondent Rawya Rageh, who was on the ground reporting from Egypt January 25, the first day of this year’s protests. Rageh was quickly joined by more than a dozen AJE journalists, as other news services scrambled to get on top of the story. Rageh and other AJE reporters almost never appear on the Arabic service, and the news lineups are determined by separate staffs for the two channels. For half the day, AJE’s programming originates in its Doha headquarters; the rest of the day’s news is anchored from its other global centers, in Kuala Lumpur, London and Washington, D.C. AJE’s website says it is the most watched news channel on YouTube, receiving 2.5 million views per month. Those who praise the channel often note its efforts to contextualize news. On Inside Story, a program that dissects the day’s top news story, the anchors get analysis from experts around the world. AJE’s correspondent network, based in more than 70 bureaus around the world, regularly reports from countries seldom seen on U.S. network TV. A water shortage in Oman prompted an up-close look at water harvesting methods. The program Africa Uncovered explores the entire continent, highlighting issues such as the plight of women in Mauritania, where women and girls are subjected to gavage, or force feeding, because Mauritanian men consider obesity an asset in marriage. While these programs win praise, the English Al Jazeera channel is still a target of critics who say it pursues a political agenda in the Middle East – including promoting revolution in the Arab world this year. But for now, at least, the reporting that Mohyeldin and his AJE colleagues do remains invisible to most Americans, except on the Internet livestream. Despite the channel’s aggressive wooing this year of cable giants Comcast and Time Warner, no deals to offer Al Jazeera English have been concluded. Ahmed Al Omran, Solange Mougin and Ceylan Yeginsu reported on Al Jazeera English. Budget: Precise figure unknown, but Al Jazeera’s Washington bureau chief told Time magazine in February that the government of Qatar spends “hundreds of millions of dollars annually” on its Al Jazeera channels. Audience: Available in 220 million households in more than 100 countries. 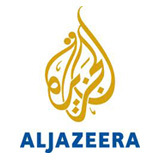 In a nutshell: While AJE has provided good global news coverage since it began broadcasting, it was the recent uprisings in the Middle East that brought the channel into the spotlight, particularly in the U.S. That coverage, informed by strong local expertise and financed with deep resources, has been widely praised. It’s not clear whether the new attention will be sustained once big news stories crop up away from Al Jazeera’s backyard. 4Though critics say it presents a biased view of America, the channel’s recent reports have been largely neutral in tone. One of the channel’s three broadcast centers is in Washington, D.C., and one entire program, Fault Lines, is devoted to untold stories from the Americas. 5With established bureaus in Egypt, Libya and Yemen, the channel was able to get a jump on competition in reporting on the Arab uprising. An extensive network of correspondents also reports from the rest of the world, including countries that get little coverage elsewhere; that, says Al Jazeera, is part of its mission to be the voice of the people. 2The homeland is Qatar, whose leader is rarely criticized. That said, Qatar doesn’t get much coverage by any media, due to its tiny size and lack of geopolitical significance – outside of its creation of Al Jazeera. 5The team of journalists is professional and multinational. There is no star system, though the Arab uprising did bring attention to some of its young, respected reporters. The images most Americans watch are of poor quality – because, with the exception of a handful of U.S. cities where it’s offered on cable, it’s available only on Internet livestream. 5Of all the new global TV channels, Al Jazeera English is the only one considered to be strong competition by BBC and other older global broadcasters. Many Americans who watched it for the first time this year expressed surprise at its professional, comprehensive reporting in the Middle East and elsewhere.